Recently, I went to the Chanel cosmetics counter at Takashimaya and bought some skincare and cosmetics to try. I was also given some samples to try. 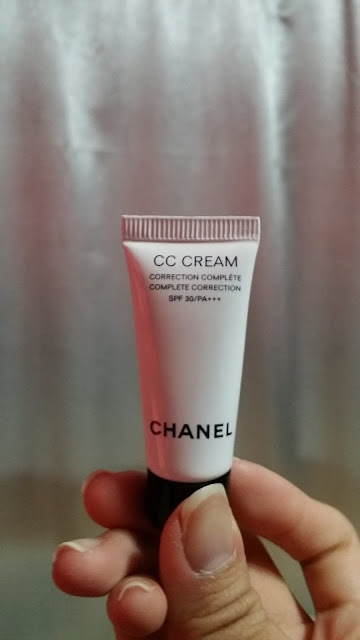 I am going to share my experience on using the Chanel CC Cream. The shade that I tried was 12 Beige Rose which I felt it is a little fair for me. Anyway, you can see the before and after. The texture of it is thin enough for blending with fingers. 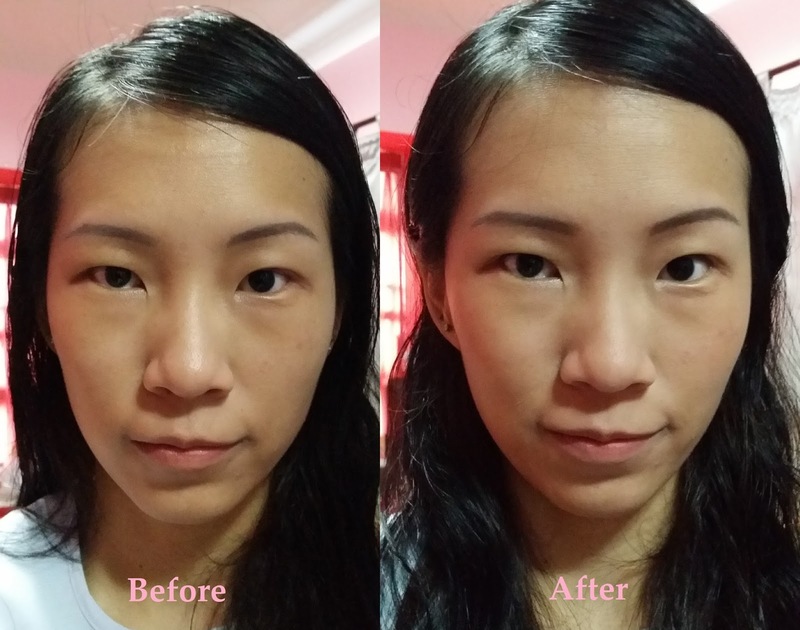 Although my face doesn't feel that sticky after application, I did apply Make Up Store loose powder after which. SPF30++/PA+++ is sufficient for my typical day in the office. I would consider buying it as a regular item if I have a little more to spend on.